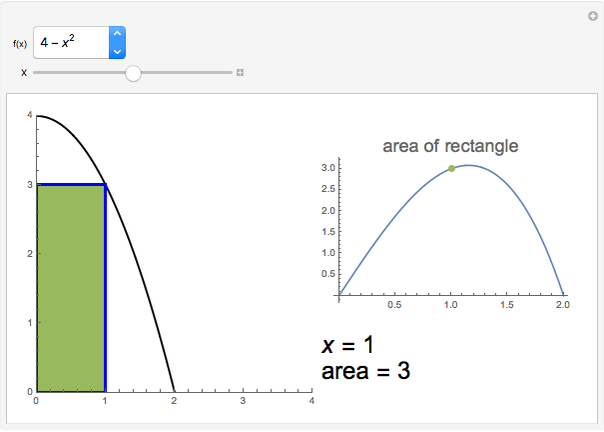 This Demonstration illustrates a common type of max-min problem from a Calculus I course—that of finding the maximum area of a rectangle inscribed in the first quadrant under a given curve. A variety of curves are included. 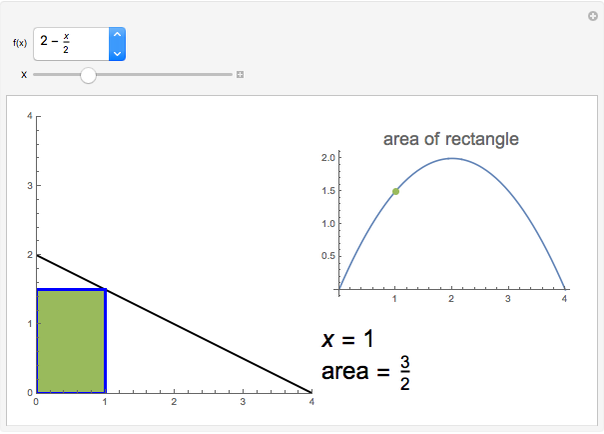 Marc Brodie (Wheeling Jesuit University) "The Maximum Rectangular Area under Different Curves"